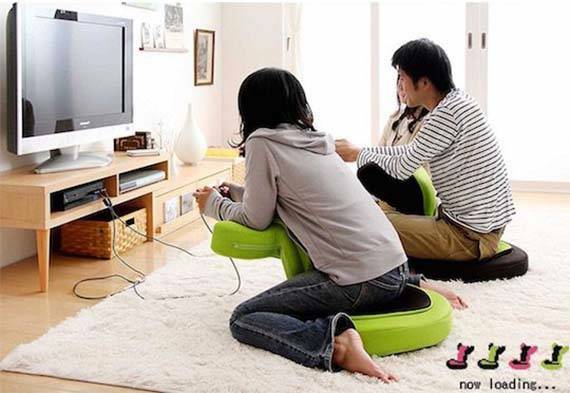 Buddy the Game Chair is designed to offer us a comfortable and healthy way to play video games on the floor. Like the idea? Let’s keep checking. The Buddy the Game Chair is a uniquely designed and versatile video game playing seat that measures 47 x 38-50 x 58-68cm, weighs 3.9kg, and its cushion measures 11cm thick. As we can see from the images, the gaming chair is designed to fit in front of your TV during any gaming session, and two bright color options allow it to match any gamer’s passion for video games. 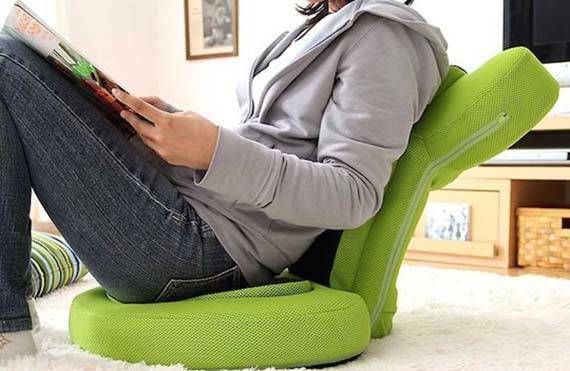 The gaming chair features a unique support that can not only be used to support you back during reading. More importantly, the support can be set in front you in order to hold your arms and help you maintain a healthier back posture during any short or long gaming session. The Buddy the Game Chair playing seat has been available for preorder for $92 USD. If you’re interested, jump to Japan Trend Shop for its more details.